Friend What Are You Waiting For? January 18th 7 pm 47th Street Theater! It’s a 10-minute showcase that will be sure to please. Hope you can make it! 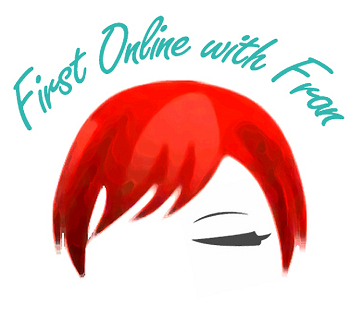 Stay tuned for a First Online With Fran interview with Rachel Griffin. .
Jane, a quirky 18-year-old writer, has no choice but to admit herself to a psychiatric hospital when her depression (personified by a female actor) becomes more than she can handle on her own. Bored with the cheesy and condescending group sessions, Jane and another talented patient, Jack, start a writing group. Tension heightens between staff and patients and corruption and mistreatment in the ward start to make everyone wonder: who is really sane here after all? Subject: Friend what are you waiting for? 10 Musicals – One Night Only! Good seats still available BUT HURRY, they’re going fast! 10 Musicals – One Night Only! A Cappella Love, performed by eight triple-threat singers-actors-dancers (four men, four women) without instrumental accompaniment, is a new musical that, through song, dance, and comedy, explores the universal experiences of falling in, being in, and stumbling out of – what else? – love. The romance! The passion! The brazen innuendo…all a cappella! Gertie may be the worst girl scout the troop has ever seen. When her mother (who is also her troop leader) gives her the ultimatum of selling 100 boxes to continue her girl scout membership, Gertie does her best to rise to the occasion, with a little help from a new friend. A New York City couple awake one morning, burning up with fevers, while their babysitter and their handyman are sizzling with a fever of a different kind. Chaos and Kleenex reign, in this classic yet contemporary tale of love and flu-like symptoms. Fictitious is a 90-minute musical comedy inspired by the life of Arnold Schwarzenegger that traces the unlikely success story of an immigrant bodybuilder turned actor turned politician who marries into America’s political royal family and eventually becomes president. Brooklyn, 2015. Chelsea is getting fed up with her slacker singer-songwriter sister, Jackie, and it’s time she moved out. Eric, a young, failed magician (circa 1902) barters his soul to travel back in time to Paris, circa 1880, to study with the great, Father of Magic, Eugene Robert-Houdin. Eric meets Houdin’s hiding, reclusive daughter, and love complications ensue. “Brigadoon” meets “Damn Yankees”. A contemporary re-imagining of the Aesop Fable ‘The Tortoise and the Hare,’ this fun new show takes the familiar classic and exposes the truth behind this infamous woodland race. We Have Apples is a musical comedy set in a psychiatric hospital. Jane must overcome her depression (which is portrayed by another character) to be with the man she falls in love with, who happens to be her psychiatrist’s son. Theatre Now New York is a professional theatre company whose history originates with two established companies: the Genesius Theatre Guild in New York City and ReVision Theatre in Asbury Park, NJ. Theatre Now New York brings together the founding principles of both these companies: developmental work and main stage theatrical productions. The mission of Theatre Now New York is to facilitate the creation and development of new theatrical works, the reimagining of previously produced known titles and the reinterpretation of classic works through readings, productions, workshops and work-in-progress presentations and to promote the understanding and appreciation of live theatre and its process by the general public. TNNY provides opportunities for emerging, mid-career and established theatre professional in their ongoing creative process. Theatre Now New York is a non-profit 501 (c)(3) organization and all donations are tax-deductible as allowed by law. Members of Theatre Now New York receive 20% or more off all ticket purchases for a year, plus priority seating at productions and events, VIP invitations to special events and Members Only pre-sale opportunities on future events.